The principle objective of this report is to analysis Loan Lending Activities and Reconciliation process on Brac Bank Limited. General objectives of this reports are to know SME loan lending activities, to study the reconciliation process, to find out basic appraisal of SME loan, to know the enterprise selection criteria to provide SME loan, to know the terms and conditions of SME loans and to know the disbursement and recovery procedures of SME loans. Finally this report make swot analysis Loan Lending Activities and Reconciliation process on Brac Bank Limited. To know SME loan lending activities. To study the reconciliation process. To find out basic appraisal of SME loan. To know the enterprise selection criteria to provide SME loan. To know the terms and conditions of SME loans. To know the disbursement and recovery procedures of SME loans. To know the work process and monitoring system of Central Support, Operation Help Desk and Reconciliation. To make some recommendations on the basis of relevant findings. Increasing the ability of under – served individuals and enterprises to build their asset base and access market opportunities will increase the economic well being for all Bangladeshis at the same time, this will contribute significantly to the profitability of the Bank. 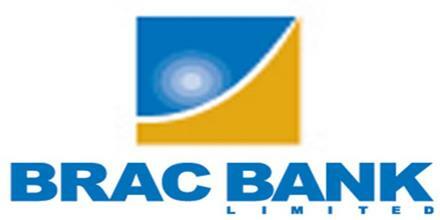 BRAC Bank intends to set standards as the Market leader in Bangladesh. It will produce earnings and pay out dividends that can support the activities of BRAC, the Bank’s major shareholder. Development and poverty alleviation on a countrywide basis needs mass production, mass consumption and mass financing. BRAC Bank goal is to provide mass financing to enable mass production and mass consumption, and thereby contribute to the development of Bangladesh. BRAC Bank intends to set standard as the market leader in Bangladesh by providing efficient, friendly and modern fully automated online service on a profitable basis aiming at offering commercial banking service to the customers’ door around the country, BRAC Bank limited establishing branches. This organization achieved customers’ confidence immediately after its establishment. Within this short time the bank has been successful in positioning itself as progressive and dynamic financial institution in the country. It is now widely acclaimed by the business community, from small entrepreneur to big merchant and conglomerates, including top rated corporate and foreign investors, for modern and innovative ideas and financial solution. Thus within this short time it has been able to create an unique image for itself and earned significant solution in the banking sector of the country as a bank with a difference. The emergence of BRAC Bank Limited is an important event in the country’s financial sector at the inception of financial sector reform. The authorized capital of BBL is Tk. 1000 million and paid up capital of the same bank is Tk. 500 million. Table: Shareholders of BRAC Bank Ltd with percentage. The most valuable natural resource of Bangladesh is its people. As a nation we struggled for our independence and now the attainment of economic uplift is the main goal. Micro lenders are working here in the financial field, providing very small amount and on the other hand regular commercial banks have been providing bigger amount of loans to larger industries and trading organizations. But the small and medium entrepreneurs were overlooked. This missing middle group is the small but striving entrepreneurs, who because of lack of fund cannot pursue their financial uplift, as they have no property to provide as equity to the commercial banks. With this end in view-BRAC Bank was opened to serve these small but hard working entrepreneurs with double bottom line vision. As a socially responsible bank, BRAC Bank wants to see the emancipation of grass-roots level to their economic height and also to make profit by serving the interest of missing middle groups. 50% of its total portfolio usually collected from urban areas, are channeled to support these entrepreneurs who in future will become the potential strength of our economy. BRAC Bank is the market leader in giving loans to Small and Medium Entrepreneurs. SME is an additional and specialized horizon of the bank which serves the bank’s special focus in promoting broad based participation by catering to the small and medium entrepreneur. The network of SME has already been established through out Bangladesh. Support Small and Medium Enterprise: To support small and medium enterprise, which requires not more than BDT 30 lacs. But in the market, small and medium entrepreneurs do not have easy access to get loans from the commercial banks/ financial institutions. But BRAC Bank Ltd. Provides loans ranges between BDT 3 to 8 lacs without any kind of mortgage. Economic Development: Economic development of a country largely depends on the small and medium sized enterprises. Such as, if we analyze the development history of Japan, the development of small & medium size enterprises expedite the development of that country. Employment Generation: To create employment opportunities in the market. The bank gearing employment opportunities by two ways: Firstly, by providing loan to the small enterprises. Expanding, these businesses require more workers. Secondly, small and medium enterprise (SME) program requires educated and energetic people to provide support to entrepreneurs. Profit Making: SME program is a new dimensional banking system in the banking world. Most of the CROs are providing door-to-door services to the entrepreneurs. Entrepreneurs are satisfied by the service of the bank and making profit with guidance of the bank. Encourage Manufacturing: The focus of BRAC Bank Ltd. is to encourage manufacturing by the entrepreneurs who produce by purchasing various types of materials. CRO’s try to educate them to produce material if possible because if they can produce in line of purchase profits will be high. Spread the Experience: Another reason of BRAC Bank Ltd. is to spread the knowledge on the importance of SME banking regarding various businesses. The customer service officer shares their knowledge from various businesses and tries to help the entrepreneurs who have shortage of the gathered knowledge. CRO’s who are the driving force of SME division of BRAC Bank Ltd. also gather knowledge about various businesses and make stronger knowledge base. All the financial accounting entries will be passed at the SME head office and will maintain separately on the basis of the unit office. Documentation is necessary for the acknowledgement of a debt and its terms and conditions by the borrower and the creation of charge on the securities in favor of the bank by the borrower. Correct and proper documentation allows a bank to take legal measures against the default borrowers. If filing a suit with the courts against a default borrower becomes necessary, the court will first review all documents. If any of the documents is found to be defect or incomplete, the purpose of security documentation will be defeated and a court ruling in favor the bank cannot be expected. Proper care should, therefore, be taken while completing security documentation. The following listed securities may be obtained from borrower against loan to enterprises, either individually or in a combination. It is created by a simple deposit of title deeds supported by a Memorandum of Deposit of Title Deeds along with all the relevant land documents. All the searches and verification of documents as stated above must be carried out to validate the correct ownership of the property. This deed also provides the bank power to register the property in favor of the bank for further security, if needed. It is created by an execution of a Mortgage Deed registered irrevocably in favor of the bank at the Sub-Registrar of land’s office. This virtually gives the bank the right to posses and self if accompanied with a registered irrevocable power of attorney to sell the property executed by the owner of the property, in case of default. Once a loan is approved, the borrower is advised by a ‘Sanction or offer letter’ which states the terms and condition s under which all credit facilities are offered and which forms an integral part of there security documentation. If the borrower accepts, then a contract between the bank and the borrower is formed and which both party are obligated to perform. Accordingly, all other charge documents and securities are drawn up and obtained. A standard sanction letter is attached herewith. All documents shall be stamped correctly and adequately before or at the time of execution. An un-stamped or insufficiently stamped document will not form basis of suit. Stamps are of 4 (Four) kinds. These are Judicial, Non-judicial, Adhesive and embossed impressed. Documents to be executed (Signed) by the borrowers concerned must be competent to do so in official capacity. As far as possible there should be no erasure, cancellation or alternation in the document. If, however, there is any correction, overwriting or alteration, then that must be authenticated by a full signature of the signatory. It is a written promise by a borrower to pay the whole amount of existing or future loans/credit facilities on demand. It also gives the banks power to ask the borrower to repay the loan amount with interest without any prior notice. Section 4 of the Negotiable Instrument Act 1881 defines a promissory note as an instrument in writing, signed by the maker, to pay a certain sum of money only to, or the order of, a certain person, or to the bearer of the instrument, following precautions are to be taken while preparing a promissory note. Type the amount of the credit facility/loan in words and in figures. Type the rate of interest for the loan, which the borrower will subject to verify the signature of the borrower. This instrument is used in conjunction with the demand promissory note. This is to secure rights of recovery for existing and future credit facility, which are advanced in parts or on a recovery basis. Loan accounts may from time to time be reduced or even the balance in the said loan account may be in credit so this instrument, validates the said D.P Note, for making further drawings under the facility continuously possible. This is a right given by the borrower to the bank to cancel the facility at any time without having to assign any reason. This is also an acknowledgement by the borrower that the credit facility has been approved in his favor and the borrower has to execute all necessary documents to avail credit facility. A loan agreement is an agreement of contract stating the general terms for the extension of a loan or credit facilities. The General loan agreement sets out the general standard terms and conditions governing the existing or future extension of loan or erudite facilities to the borrower. This is simple a letter requesting disbursement of the loan/credit facilities at the agreed rate of interest. This is a Deed of agreement executed by the borrower agreeing to commit to carry out any or a particular obligation to avail of loan/credit facility. These letters Hypothecation are actually two different sets of documents but because of their similarity, these are being explained together. These documents create an equitable or floating charge in favor of the bank over the goods and services and/ or book debts and receivables that are being financed where neither the ownership nor the possession is passed to the bank. Under this agreement, the borrower undertakes to keep the percent stock of goods and that, which may increase from time to time in good condition in future, in good condition. This hypothecation gives the bank the power to possesses and sell the mentioned goods and stocks or claims the book debts directly from the debtors in order to settle the borrower’s dues to the bank. Under this agreement, the Borrower undertakes to keep the present plant and machinery at the present location in good condition and which gives the bank the power to posses and sell the mentioned plant and machinery to meet the borrower’s dues to the bank. In case of limited company, both private and public, these Letters of Hypothecation with schedules are usually registered with the Registrar of Joint Stock of Companies (RJSC) that provides more security to the banks. A lien the right of one person to retain property in his hands belonging to another until certain legal demands against the owner of the property by the person in possession are satisfied. Thus a bank or a creditor who has in its possession a lien over the goods in respect of the money due by the borrower, as a general rule has the right to exercise certain powers to hold on to the security. In addition, if the bank has right to set off the value of the said goods or instrument in its possession, then the bank can sell the goods or encase the instrument to liquidate the dues by the borrower. This deed of agreement gives the bank the right to offset the value of the goods or financial instrument in its possession and which has been discharged by the owner of that asset, against dues owned by the borrower. This agreement gives the bank the right to possess goods and other assets in rented or leased premises of the borrower despite the fact that owner or the premises may be unable to realize dues from the borrower himself. This is a guarantee of a person or third who is not the direct beneficiary of the loan/credit facility but is equally liable for the loan. The involvement of a 3rd party creates additional pressure on the borrower to minimize the risk. The guarantor is the person who has to pay the entire outstanding loan and interest if the borrower fails to pay for any reason. Any risk assessed by the management in turn will become a credit risk for the bank. So effort should make to understand the risk faced by the business. Clear-cut indication of source of income and reasonable ability to save. The most important task of the CRO to monitor the business frequently, it will help him to understand whether the business is running well or not, and accordingly advice the borrower, whenever necessary. The frequency of monitoring should be at least once month if all things are in order. The CRO will monitor the production activities of the business and if there is any problem in the production process, the CRO will try to help the entrepreneur to solve the problem. On the other hand the CRO can also stop the misuse of the loan other than for the purpose for which the loan was disbursed. Monitoring sales proceed is another important task of the CRO it will help him to forecast the monthly sales revenue, credit sales etc. which will ensure the recovery of the monthly loan repayments from the enterprise as well as to take necessary steps for future loans. It is very important to ensure that the entire loan has been invested in the manner invented. If the money is utilized in other areas, then it may not be possible to recover the loan. In case of a manufacturing enterprise, management of raw materials is another important area for monitoring. If more money is blocked in raw materials then necessary, then the enterprise may face a fund crisis. On the other hand the production will suffer if there is not enough raw materials. The CRO can consider the following things for monitoring. The CRO will monitor each business at least once a month. He/she will make a monitoring plan/ schedule at beginning of the month. During monitoring the CRO must use the prescribed monitoring from and preserve in the client file and forward a copy of the report to SME head office immediately. All fixed assets and refurbishment related papers such as purchase receipt, Delivery memo’s, Quotation, Guarantee and Warrantee papers, Servicing related papers and any other paper related to fixed assets are refurbishment will be in this file. This file will contain all papers related to lease agreement between the SESDS office and owners of the leased premises. Individual files are to be maintained for each borrower and will hold loan application, Loan Proposal, Copies of Loan Sanction Letter, Disbursement Memo, Monitoring Report, CIB application and Report, Credit report from other bank and all other correspondents including bank receipt. All kind of office instruction regarding administration should be kept in this file. All minutes of meeting, whenever held, should be kept in this file. After conducting survey, all survey will be kept in this file chronological. When the CRO decided to provide loan to the client then he/she help the client to open an bank account where BRAC bank has a STD a/c. BRAC bank will disburse the loan through this account. On the other hand the client will repay by this account. The SME, head office collects all information and sends the CIB form to Bangladesh Bank for clearance. Bangladesh Bank return this CIB form within 10-12 days with reference no. Loan decision considering CIB report: Considering CIB report, BRAC bank decide whether it will provide loan the client or not. If the bank decides to provide loan then the SME of head office keep all information and send all papers to the respective unit office to apply with all necessary charge documents. The repayment process starts immediately after one month of the loan taken. Suppose if a loan is taken in January 7, 2008 then the repayment process will be started from February 7, 2008 and the borrower will pay his/her first installment in that date. Before that date, the borrowers will be informed about the number of installments and amount of each installment. He can deposit the installment by himself or by the Customer relationship officer (CRO). Again they can deposit the installments either in any branch of BRAC Bank or in any correspondence bank (where BRAC Bank has no branch). If the borrower cannot pay the installment in the stipulated date, interest will be charged for each day before they pay that installment. Again interest will be reduced if the borrower pays the installment before the date of repayment. Interest will be charged and added to the principal amount for every month or every 3 three months depending on the policy for each loan disbursement. The loan administration is responsible for all entry in MBS. If there is any error found in future then the respective officer who is entering this information in MBS will be liable for it. User ID will easily identify it. So they are always aware of to ensure the correct entry. Completing the entry of information, they print a hard copy and check it with the SMS/Fax. If there is any error found then it is solved and ensures the correct information entry. If it confirmed that all entering information is correct and there is no error, then the responsible officer of the loan administration division posts it to MBS. If one time posted, it is not rectifiable without permission of the higher authority. So the loan administration is always aware of regarding the recovery procedures of SME loan. Receive SMS/Fax requesting for closing: The borrowers repay the loan as per repayment schedule. When the repayment is being complete the borrower request the unit office/CRO to close his loan account. The unit office/CRO sends a SMS/Fax the loan administration division requesting to close the loan account of the respective borrower. Print the SMS/Fax: Receiving the request from the respective unit office/CRO, the loan administration division takes a paper print and takes necessary steps to close the account. Bring the loan file from archive: The loan account file of the respective borrower is brought from the archive. And the documents of file are checked with MBS record. Obtained approval from the concern authority: it is require the permission of concerned authority to close the loan. If concerned authority approved the closing of the loan account then next initiatives are taken. SMS sent to concerned CRO: Loan administration division sent an SMS to the concerned CRO informing the current balance of the requested loan account. Receive and print closing SMS/Fax checking & freezing: The concerned CRO send a final SMS to loan administration division informing that the respective borrower cleared all his liabilities regarding the loan. The loan administration division takes paper print of the SMS, check it and finally close the loan account. Sponsors: BBL has been founded by a group of eminent entrepreneurs of the country having adequate financial strength. The sponsor directors belong to prominent resources persons of the country. The Board of Directors headed by its Chairman Mr. F. H. Abed. Therefore, BBL has a strong financial strength and it built upon a strong foundation. Efficient Management: The top management of the bank is also major strength for the BBL has contributed heavily towards the growth and development of the bank. The top management officials have all worked in reputed banks and their years of banking experience, skills, expertise will continue to contribute towards further expansion of the bank. At BBL, the top management is the driving force and the think tank of the organization where policies are crafted and often cascaded down. Facilities and equipment: BBL has adequate physical facilities and equipments to provide better services to the customers. The bank has computerized and online banking operations under the software called MBS banking operations. Counting machines in the teller counters have been installed for speedy service ant the cash counters. Computerized statements for the customers as well as for the internal use of the banks are also available. Lack of advertising and promotion of SME loan: This is a major set back for BBL and one of its weakest areas. BBL’s adverting and promotional activities are satisfactory but it SME loan is not advertised well. It does not expose its SME product to general public and are not in lime light. As a result large numbers of people are not aware of the existence of this bank. NGO name (BRAC): BRAC is one of the largest NGO of the world and it is operating its activities in Bangladesh. BRAC bank is not a NGO bank but many people of them country consider it as a NGO bank like Grameen bank which is not correct. Remuneration: The remuneration package for the entry and the mid level management is considerably low. The compensation package for BBL entry level positions is even lower than the contemporary banks. Under the existing low payment structure, it will be difficult to attract and retain higher educated employees in BBL. Especially CROs are not satisfied with compensation package provided to them. ATM: BBL always tries to provide excellent services to its customers. By considering this thing BBL provides ATM card to its customers and also provide available ATM booth in different locations in whole country. Diversification: BBL can pursue a diversification strategy in expanding its current line of business. The management can consider options of starting merchant banking or diversify in to leasing and insurance. By expanding their business portfolio, BBL can reduce their business risk. Product line proliferation: In this competitive environment BBL must expand its product line to enhance its sustainable competitive advantage. Available Branches: With its proper and useful operational network, there is and opportunity for IFIC to further expand its branches in many remote and new location of the country which will deliver services to customer and earn a healthy profit for the bank. Competition: Competition is the threat of any business. At the age of modern business the competition is increasing. Every banks has an intention to provide better services compared to others for capturing the customers. Multinational banks: The emergence of multinational banks and their rapid expansion poses a potential threat to the new growing private banks. Due to the booming energy sector, more foreign banks are expected to arrive in Bangladesh. Moreover, the already existing foreign bank such as Standard Chartered is now pursuing an aggressive branch expansion strategy. This bank is establishing more branches countrywide and already launched is SME operation. Since the foreign banks have tremendous financial strength, it will pose a threat to local banks. Upcoming banks: The upcoming private local banks can also pose a threat to the existing private commercial banks like BBL. It is expected that in the next few years more local private banks may emerge. If that happens the intensity of competition will rise further and banks will have to develop strategies to compete against an on slaughter of foreign banks. Contemporary banks: The contemporary banks of BBL such as Dhaka bank, prime bank and Dutch Bangla are its major rivals. Prime bank and other banks are carrying out aggressive campaign to attract lucrative clients as well as big time depositors. CRO’s are not getting enough time to monitor of loan utilizing. Every CRO has to fill up the individual target which is given by the head office. The SME head office collects all information and sends the CIB form to Bangladesh Bank for clearance. Bangladesh Bank returns this CIB form to the respective SME head office by requiring long time ranging 10-12 days. It kills time. The respective unit office sanctions loan to the client if it ranges between BDT 2 to 5 lacs, and then sends the sanction letter including all necessary charge documents to the Asset Operations Department (AOD) for disbursing the loan. If the loan amount is higher than BDT 5 lacs, only the SME head office has the authority to sanction. When the borrower repays any installment of the loan then he/she informs it to the unit office/CRO. Then the unit office/CRO sends an SMS through mobile phone or a Fax to the AOD informing the repayment. The AOD collects these SMS /Fax and takes a paper print of these SMS. But there is no monitoring system if CRO fails to send SMS to the head office. When all payments made by the borrower the unit office send request to head office for loan closing. But head office takes more time to close the account. CRO’s are the key indicator of SME banking division. But their training facilities are limited and they are not satisfied about their remuneration. Executives of Central Support and Operations Helpdesk Department have to perform long time duties. They have to start at 10 am and stay until 7 pm. They are not satisfied about their remuneration. SME head office sanction the loan by obtaining CIB form from Bangladesh Bank. SME head office should try to collect CIB form with shortest possible time from Bangladesh Bank. Implement strict and continuous monitoring system of the whole recovery and repayment process. Train the Customer Relationship officers more comprehensively and realistically so that customers may not face any trouble while getting and repaying the loan. Make continuous performance evaluation of the CROs.The CROs should give higher remuneration. The bank should effectively monitor the loan utilization of borrower and also CRO’s when they send SMS to head office about repayment of the loan amount. Analyze customers’ behavior that what type of customer makes default and stop giving them SME loan. SME unit office waits for closing confirmation from head office. Because they can not disburse the repeat loan until getting the closing confirmation from head office. So head office should give closing confirmation with shortest possible time. Executives of Central Support and Operations Helpdesk Department should pay more salary so that they can work with higher satisfaction. BRAC bank Limited promotes broad-based participation in the Bangladesh economy through the provision of high quality and modern banking services. SME loan is one of such quality product through which they offer the small and mediocre entrepreneurs a quality banking services and earn the maximum profit as well. There are number of commercial banks operating their activities in Bangladesh. The BRAC Bank Limited is a promising one in them. Especially the SME division of BRAC Bank Limited has an important contribution of Bank’s overall profit. SME business of BBL has expanding dramatically which creates a large employment opportunity for our country. Banks always contribute towards the economic development of a country. BBL compared with other banks is contributing more by investing most of their funds in fruitful projects and risk free individual. It is obvious that the right thinking of the bank including establishing a successful network over the country and increasing resources, will be able to play a considerable role in the portfolio of development of financing in the developing country like ours. General Banking Practice of Shahajalal Islami Bank Limited.